Most of us want to do something good for the environment. An easy way is to spend a few dollars buying carbon offsets, perhaps to make us feel less guilty about that long-haul flight we're planning. Turns out those offsets could be more valuable than we thought. Most of us want to do something good for the environment. An easy way is to spend a few dollars buying carbon offsets, perhaps to make us feel less guilty about that long-haul flight we're planning. Turns out those offsets could be more valuable than we thought. A study released on Wednesday and led by Imperial College London found that offsetting one tonne of carbon dioxide can bring up to $664 in benefits to the communities where carbon reduction projects are based. The biggest share comes from the ecosystem benefits of a carbon-reduction project. Protecting a large area of rainforest, for example, can preserve water catchments and fishing grounds, save valuable plant and animal species, and lock away huge amounts of carbon dioxide. That's good for everyone on the planet. Other types of carbon offsetting projects including reforestation, wind farms and cleaner burning cook stoves. These projects can bring a host of local community benefits, such as improved health, education, cleaner water resources, transfer of technology, employment and fuel savings, according to the research produced in partnership with the International Carbon Reduction and Offsetting Alliance (ICROA). 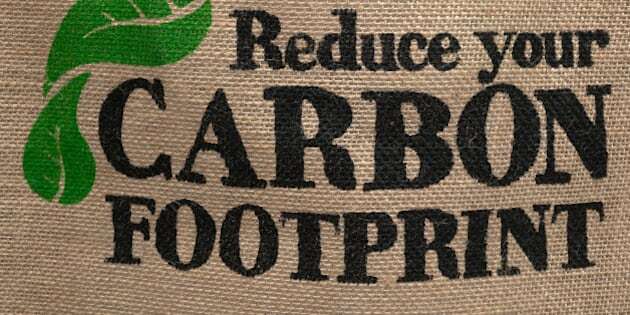 "Carbon offset programmes deliver substantially more benefits than expected -- bringing value that might previously have been hidden," said the report. "The findings of the study also demonstrate that businesses with offsetting programmes report corporate benefits such as enhanced brand image, engaged employees and market differentiation," said a statement accompanying the report. ICROA is a global non-­profit whose members provide carbon reduction and offset services for businesses, including multinationals. The amount of carbon reduced by such projects has been measured and verified for many years, the authors say. But until now, there has not been academic research to measure and value the impact of investing in carbon offset programmes beyond reducing emissions, they added. The researchers analysed data from 59 offset projects around the globe. The social and economic benefits were calculated and a dollar figure calculated per tonne of carbon dioxide. The researchers also looked at 72 of the larger companies participating in voluntary carbon offsetting programmes. Surveys were taken to find out the business benefits from offsetting programmes. They found that for CO2 credit buyers, the biggest benefits included lower energy costs, winning tenders, particularly those that required carbon offsetting, and more satisfied staff because the company was perceived to be more environmentally and socially responsible. At the project level, each CO2 offset was worth up to $609 in ecosystem and biodiversity benefits, $52 in fuel and time savings and $3 in economic benefits, such as jobs and sourcing local services and materials. Some of the largest carbon offsetting projects involve saving threatened rainforests in tropical countries. These projects, under the U.N.-backed programme called reduced emissions from deforestation and forest degradation (REDD), lock away large amounts of CO2 by keeping the forest standing and by reforesting degraded areas. The money from selling the carbon offsets helps local communities in myriad ways, including supplying water filters, clean cook stoves, to employment as forest rangers, growing trees in nurseries for replanting as well as funding education programmes. While ICROA is keen for more companies to buy carbon offsets, this shouldn't give companies a free pass to continue to pollute. Companies are supposed to use offsetting as part of a broader strategy to cut emissions, such as investing in more efficient lighting, waste and water recycling and better building insulation. David Fogarty is a media and communications consultant to foundations, NGOs and companies. He is currently a media consultant to Indonesia's largest fully verified REDD project - the Rimba Raya forest preservation project in Central Kalimantan.